For decades, one problem in particular has plagued developing economies: namely, how can we bank the unbanked? After years of searching, a cloud is shifting and the answer is becoming clear. Effectively, technology is the key to solving financial exclusion once and for all. For every country, financial access is the very foundation upon which economic development can occur. Without it, citizens cannot open bank accounts, which impacts their employment opportunities. They cannot start a business, which affects their livelihoods. They are denied insurance, as well as the chance to securely build savings for expenses, such as a child’s education. Banking services are therefore critical at every level of society. But how can financial institutions cross the gap between the banked and unbanked population, no matter where they are located nor what their circumstances may be? Fortunately, we now have a bridge, and it comes in the form of mobile technology: through innovation, banks in Africa are finally able to reach people in the most remote parts of the continent. It is no wonder then that the continent is at the forefront of the digital banking revolution. Essentially, the use of mobile technology to deliver financial services is one of the biggest developments in banking that Africa has ever seen. Indeed, it has permitted banks to offer far more value to their customers, while also enabling them to extend their products and services to the unbanked. Given the increasing importance of this trend, banks are now swiftly moving away from brick-and-mortar branches in a bid to acquire new customers and provide an ever-expanding list of services via mobile phones. This in turn has made banking services cheaper, faster and more accessible to more people across the continent. Among the most important innovations in mobile banking is the introduction of unstructured supplementary service data (USSD). The technology is making waves across the African landscape for its ability to increase access to financial services. Using USSD, which is a global system for mobile communication technology, banks are able to exchange text data between application programs within their network and their customers’ phones. Applications can range from mobile chatting, such as WhatsApp, Line and KakaoTalk, to pre-paid roaming, payment and location-based content services. Crucially, unlike SMS messages, USSD messages are sent via a real-time connection. This enables a two-way exchange of data that is far more efficient and responsive than SMS communication. At present, USSD is the best available communications technology that delivers mobile financial services to lower-income customers and unbanked segments of society. It is unsurprising, therefore, that in developing nations the majority of large mobile financial services deployments are now using USSD as their primary communication tool. Making this move has not been easy; it has required time and careful planning. As such, at the centre of the bank’s retail growth strategy is an unwavering goal to digitalise financial services on the continent. “Today, we aren’t just serving our retail customers through digital channels – we are going one step further by building a platform that connects businesses with consumers. We are also integrating additional services into our value offering,” said Agbaje. In addition to making considerable headway in terms of mobile banking, GTBank’s growth plans have been sustained. Indeed, its expansion in Africa continues to positively impact its profitability, as well as its brand equity. In December 2017, for example, the bank commenced business operations in Tanzania, which became the 10th African nation in which the bank has a footprint. Today, technology is central to the financial industry – not only in Africa, but all over the world. “While it is universal, I think that what is unique about the role of technology in Africa’s financial landscape is that, up and down the continent, people are leveraging it to create innovative financial solutions. These solutions can overcome legacy challenges, such as our inadequate infrastructure, and solve age-old problems, like the low levels of financial inclusion. Ultimately, it is going to become difficult to separate these solutions from the technology that delivers them,” said Agbaje. To this end, GTBank is investing significantly in its digital capabilities, not only to mitigate possible threats but to also unlock new and exciting opportunities. For example, in the past year alone the bank has developed two new mobile applications and launched its aforementioned state-of-the-art data centre. It also carried out several extensive upgrades and optimisations to its existing digital solutions. 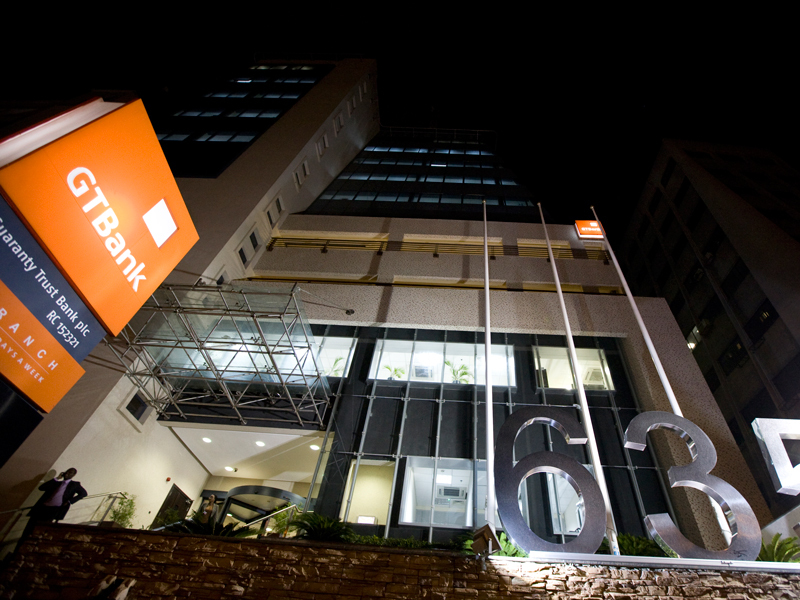 With innovation being central to its culture, GTBank is always working on something new. Currently, it is leading a project to use digital devices, such as wearables, to deliver banking services. Another project underway involves reviewing how machine learning and artificial intelligence can improve the processing of the bank’s most vital services. Finally, Agbaje and his team are engaging in more partnerships and collaborations with other service providers in order to find new ways of adding value to the bank’s existing services. GTBank’s CSR is supported by four pillars: education, community development, arts and the environment. The team believes these to be essential building blocks for the development of communities, in addition to being prerequisites for economic growth. To support the first, the bank funds programmes that increase access to quality education and improve learning outcomes for students. Another focus involves initiatives that encourage young people to stay in school. When asked what Agbaje himself is most proud of in terms of the bank’s CSR initiatives, without hesitation he replied that it was GTBank’s work around autism. “Our programmes on autism have helped more than 14,000 people learn and understand how to manage and care for people living with autism,” he said. The bank has also provided free one-on-one consultation services to more than 3,200 children, and has led an ongoing campaign to tackle the stigma facing those living with autism. GTBank also hosts football tournaments, which engage more than 70,000 young people all year round, keeping them in school, teaching them the values of excellence and fair play, and creating an avenue for the discovery of young talent and future professional footballers. It is for this reason that Agbaje believes he hasn’t even begun to scratch the surface in terms of what the bank can achieve. He said: “As we start to migrate from traditional banking to becoming a digital solutions platform for e-commerce and financial services, we will have the scalability needed to drive exponential growth.